Thanks so much for considering to give a regular gift to Neighbourhood Prayer Network. Direct Debit is the safest way to give to Neighourhood Prayer Network. 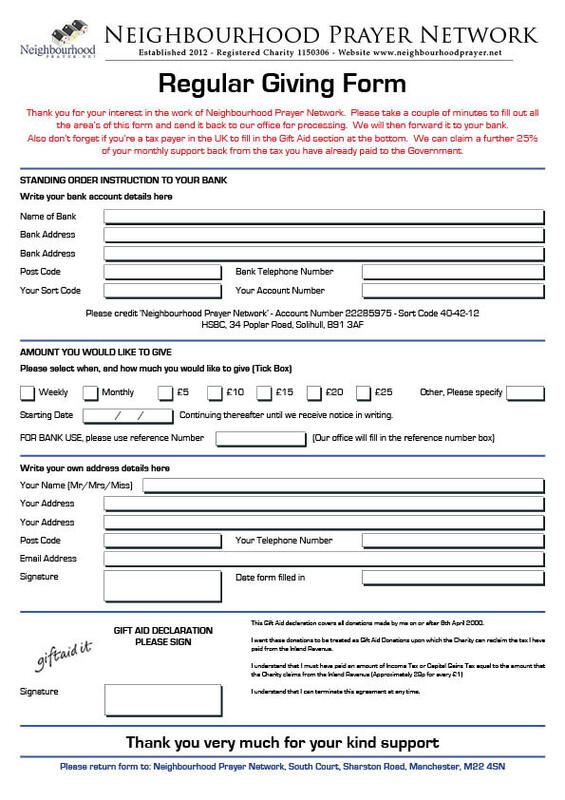 ** Remember to send the completed form back to our office for processing, the address is right at the bottom of the form. As a special thank you for standing with us financially we will send you a free copy of our Resource book, Neighbour's Transform your Street. If you already own a copy, why not bless someone who is not yet praying for their street with the one we send you.